About Winter and Simpson Print. We work with you to develop effective materials to promote your business. We produce quality printed materials for other printing companies, government organisations, universities, design agencies, travel companies and blue chip companies. With clients throughout the country, we have access to next day delivery network covering most mainland UK addresses. March 1st 2011, was the first trading day of Winter and Simpson Print but this date does no justice to the quite remarkable history of our Company. The Winter and Simpson name reflects the merger between two very long-established Dundee printing companies – David Winter & Son Ltd and Trendell Simpson of Dundee Ltd.
David Winter & Son Ltd can trace their origins back to 1797 when the Company was first established in by James Chalmers, the inventor of the adhesive postage stamp and the man with the vision to establish a lifeboat service on the River Tay. In 1870, David Winter entered the firm as an apprentice printer and in 1907 the company’s name was changed to David Winter & Son and for many years was managed by the Winter family. When the revolutionary lithographic printing process was first invented in the 1870’s, Winter’s was one of the first Scottish Companies to pioneer this revolution in modern printing technology. David Winter & Son Ltd was incorporated in 1947 and was bought by the Douglas Group Ltd in 1982. The group was then strengthened with the purchase of Adelphi Press of Aberdeen and Oliver McPherson of Forfar who were both commercial printers. In 1995 the group purchased the book-binding specialists George Jolly & Son. 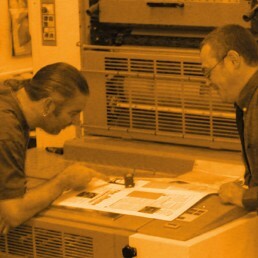 Winters, as the company is fondly known, is proud to be Dundee’s oldest established printers and commercial stationers. Trendell Simpson is a long established, family owned business, which has been operating out of Dundee for over 80 years and is an amalgamation of four companies, one of which dates back to 1851. The business was established by Colin Simpson and began life by producing tags for the laundry trade and had a significant UK-wide market. Changing times meant the Company diversifying into other markets and during the 1980’s and 90’s, Webster Simpson (the son of the original owner) developed the business into one of the major print suppliers to the UK Travel and Tourism market. 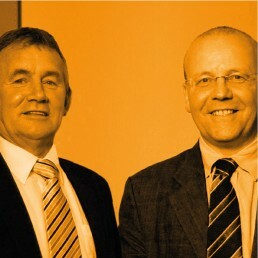 Stephen Simpson (the Grandson of the original owner) took over the running of the Company in 1998 and continued to expand the capabilities of the company to significantly widen the portfolio of clients and to diversify into other markets. In July 2008, Trendell Simpson merged with Tayport Printers Ltd under the joint management of Ken Winter and Stephen Simpson. To be the preferred and most trusted company to provide print and packaging on the east coast of Scotland. Engaging with our customers. To earn their loyalty we will listen to our customers, anticipate their needs and deliver products and service that exceed their expectations. We want to be seen as reliable, flexible, trustworthy, responsive and innovative. Investing in our business. We will equip our business with the best equipment and latest technologies to help us provide our customers with superior products and services. Investing in our people. We value integrity, diligence, customer focus, creativity, and efficiency. We will provide a working environment that is safe, fair and non-discriminatory. 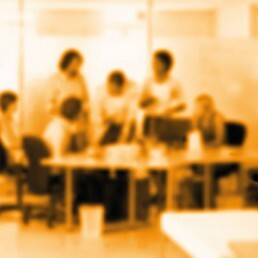 We will engender a culture which positively rewards highly motivated people and engenders team spirit. We will train and develop each individual to maximize his/her potential. Looking after our environment. We are committed to minimizing the impact our business activities have on the Environment. We will work with our customers, our staff and our suppliers and our business partners to create a clean and safe place to live and work for future generations. Please find below our company policies and statements. 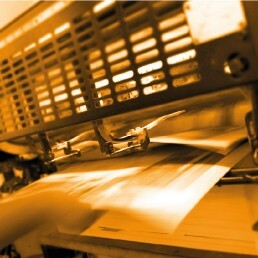 At Winter and Simpson Print, we can work with you to develop effective materials to promote your business. We can provide your business with the following printed materials. Our printing division is based at 16 Dunsinane Avenue, Dundee in a large modern factory in the heart of a thriving industrial estate. The building is ideally situated adjacent to a major trunk road which greatly assists our carriage arrangements. Our litho and digital printing operations are based at this location as is our art studio facility. This is also our head office and all management and administration functions are carried out here. 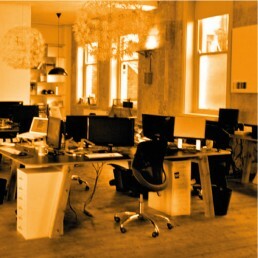 The main office area is also the centre of our sales operation.